Two years ago I took a look at Kami, which released on the Nintendo 3DS as well as mobile platforms. Now it's 2017 and its sequel, Kami 2, has unfolded onto the App Store. With easily digestible puzzles and new features, Kami 2 is a definite improvement to the foundation built by the original game. With puzzle games, developers can fall into the trap of not providing much in a sequel to distinguish itself from the original game. Kami 2 falls into such a trap gameplay-wise, but in the realm of content, the game brings enough newness to its sequel to make it a worthwhile download, especially at its free price. As stated, Kami 2's gameplay remains unchanged from its predecessor. You get a screen-long series of differently colored shapes, and you essentially have to use your finger as a fill tool to paint the entire screen in one color in as few moves as possible. 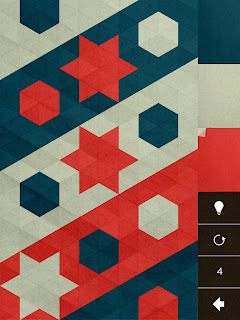 Tapping one segment of the screen will transform it in one color. Instead of paint filling the areas, the origami-inspired aesthetic results in the filled areas folding up like paper. Both the process visually and hearing the paper rustle as it folds are ultra satisfying to the senses. If you succeed in completely a given puzzle at par (or the required amount of moves), you earn a Perfect Badge. Earning enough of these unlocks new batches of levels that are increasingly more challenging to solve. 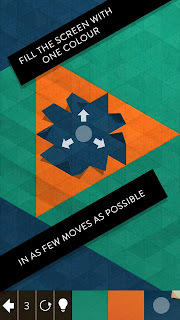 Kami 2 feels a bit like an expansion pack of sorts. It's the same base game but with over 100 levels to solve, which have to be solved in a set order (in this case, by batches of six levels). The extra included content makes the game shine even brighter. From the aforementioned 100 levels in Journey mode, daily puzzles that appear for completion, and the ability to create as well as share your own Kami-style puzzles with the world (you unlock more color varieties by playing through Journey mode), the extra content available in Kami 2 makes for an appealing package. That said, you might need hints, as Kami 2 can become mighty difficult. 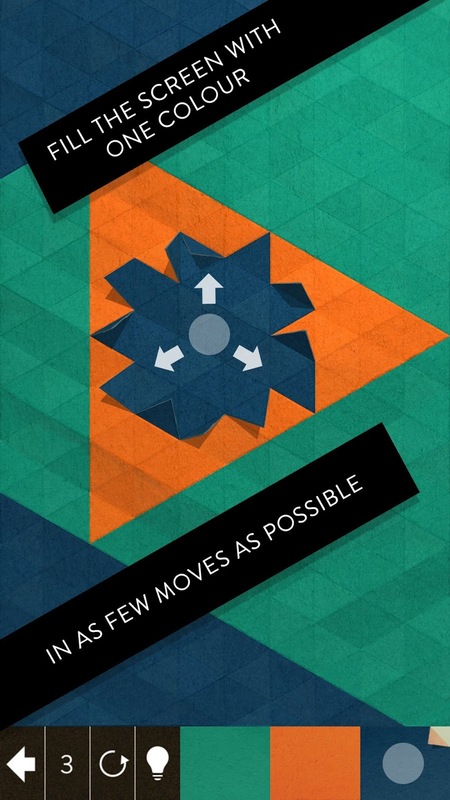 While beginning puzzles require just a few moves at most to complete, later levels force you to perform 10 or more moves. This brings up a problem with the game, and that is that on puzzles with an enormous amount of necessary moves, you will no doubt make a mistake or several. There is no option to undo a move or series of moves. Instead, you're forced to restart the puzzle from scratch. This is not only tedious and time-consuming, but it can make solving puzzles much harder to do, as it's troublesome to remember the order of the moves you made when you SO close to solving a given level. Journey mode can sort of feel like you're going through the motions by the halfway point, and it can feel a bit repetitive. A sense of joy I found in Kami 2 came in the levels crafted by members of the Kami 2 community. New levels pop up routinely, offering an active community filled with creative creators. 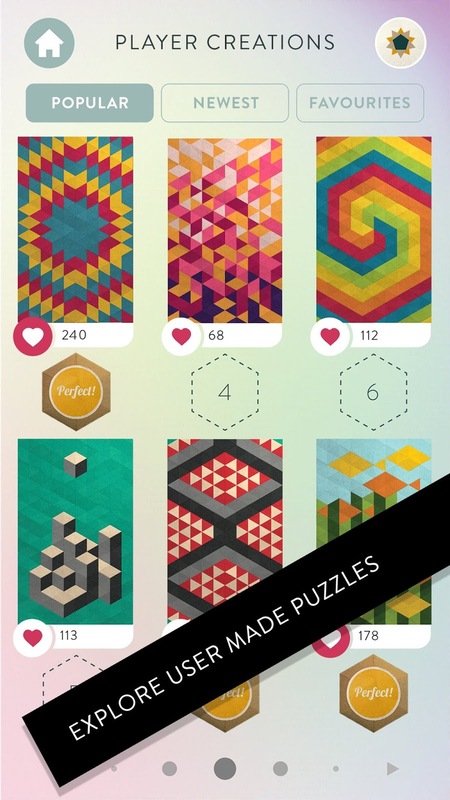 You can apply different filters to weed out the types of puzzles you don't want to play, and you can like specific puzzles to help curate what puzzles stand out to other players. Creating your own puzzles is an easy process. It just requires you to solve the puzzle you made yourself, complete with setting a par amount of moves based on how many moves it took for you to complete your puzzle. Kami 2 is a consumer-friendly game that doesn't get in the way of players' fun and engagement with the title. Its 100+ puzzles in Journey mode provide a great deal of content if you can stomach to play them all, but some quality of life improvements could have been made to make for a less bothersome experience when attempting to solve particular puzzles. 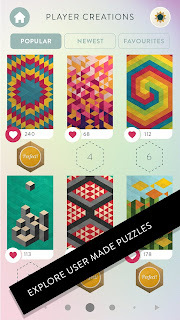 The daily puzzles and create modes offer even more longevity with its constant influx of creative levels by the community. You can't beat a free price tag, so the problems in which Kami 2 couldn't really spoil my fun as much as they could have.